Summer will be upon us before you know it (at least for people in the northern hemisphere). For me at least it means one thing: time to plan a road trip. Even the shortest road trip can hold attractions you may have never heard of or places you couldn't imagine even existed. Be it a tourist attraction, a breathtaking view, a hole-in-the-wall restaurant, or even a place to crash for the night, Roadtrippers is the answer to bringing all those places together and show you where they are. The trip planning service has a website you can use to start planning your trip and send all that information to an accompanying smartphone app (iOS and Android) to be used while you're on the move. The Roadtrippers website has popular guides you can choose from based on the route you'll be taking. There are also popular places to visit you can choose from. If the trip you're planning isn't listed, worry not. All you do is enter a start and end location and hit 'Go'. The Map shows you your route with the usual miles and time needed to travel. But here you can add waypoints or places you'd like to visit along the way. If you know the places you'd like to stop at on your trip, enter those. Otherwise you click on 'Find Places' and select a category to search. You can select from categories like Attractions, Accommodation, Entertainment, Food + Drink, History, Nature, Shopping, Sports, or Scenic Drives. Each waypoint shown on the map also shows you a route on how to get there and how much time and mileage it will add to your trip. You can choose to add any number of stops from here and your trip gets populated. When you're done planning the perfect trip, you can save it and sync it with your smartphone app (sign up for a free account to sync). You can also make your trip discoverable, meaning others will be able to view it and possibly try it out themselves. The smartphone apps allow you to do everything the website does. But for obvious reasons, planning your trip on a computer's larger screen makes more sense. Of course, the smartphone app is equally effective and useful for planning short trips on the go. Which brings me to why Roadtrippers should become an AppRadio Mode compatible app. The larger screen on an AppRadio Mode enabled head unit will make trip planning a little easier. And then, getting navigated from your head unit is a no-brainer too. Roadtrippers is one of the few apps that seems to be cut out to become AppRadio Mode compatible. Whether developers plan on adding this functionality or not, is not known. Maybe they will try and make the iOS version of the app CarPlay compatible at some point. That would seem useful too. 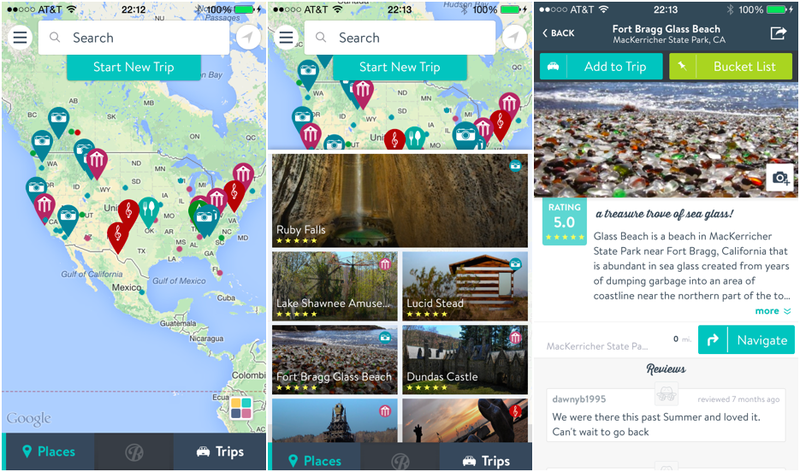 The Roadtrippers smartphone apps can be downloaded for free on both iOS and Android. Waypoint data is currently available for the US and Israel only with Canada, UK and Australia support coming soon. Give it a try and see, you may actually like what Roadtrippers can do for you.